Pisuerga 313-133 Esq. Cristo De La Muralla, 05084 Avila, Spanje. 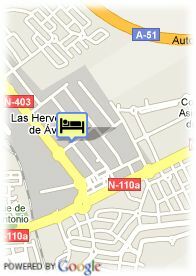 Hotel H2 Avila is situated at the city entrance and offers 65 rooms. 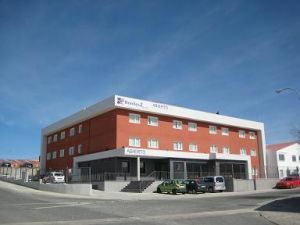 This central location next to the centre of Avila, allows the clients to easily reach the hotel, which offers covered and uncovered parking. From some of our rooms you could contemplate some beautiful city walls. Our rooms have been conceived in order to offer the necessary comforts such as 32' TV, a big shower equipped with security box, Wi-Fi connection etc. The hotel also has a full buffet breakfast, restaurant at noon and different menus in the evening, as well as 24 hours cafeteria.